We are now (very impatiently) counting down the hours until the annual glam-fest, otherwise known as the Cannes Film Festival, which kicks off on May 17. As ever, we will see a number of Hollywood names jet/speedboat into the French Riviera for the two-week event, so while we eagerly anticipate what gowns the likes of Kirsten Dunst an Elle Fanning wear this year, we’re presenting 33 of the most glamorous vintage Cannes moments of all time, because, well, they're just too darn gorgeous to miss. Go through the gallery below to see our favourite archive fashion moments from Cannes Film Festival. Classic 1950s style from Brigitte here: nipped-in waist on a full-skirted midi and a rather covetable off-the-shoulder top. Who doesn't love layers of tulle? Sophia Loren kicks back in seriously glamorous style. Brigitte again! This time she's frolicking on the beach wearing an era-defining sundress, looking far more relaxed than today's jetset. 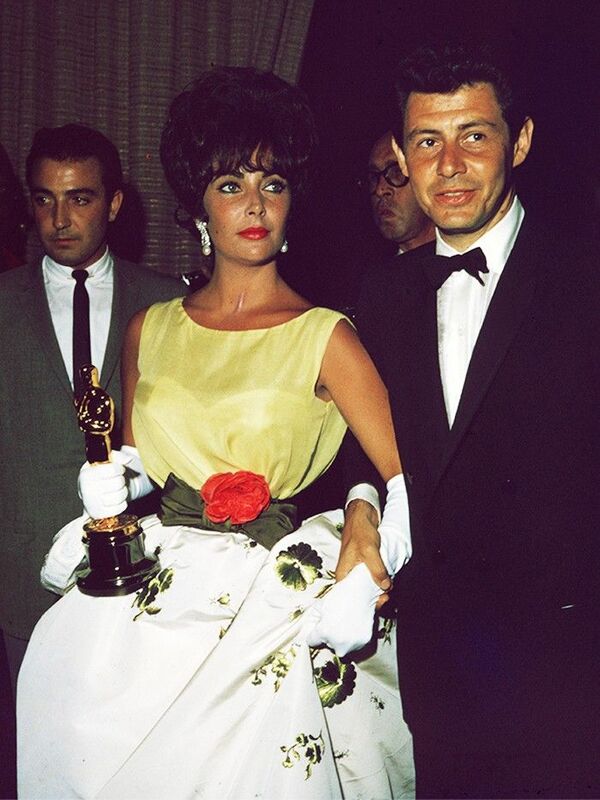 Dressed like the Hollywood royalty she was, Elizabeth Taylor topped off her clavicle-baring gown with a crown! Sophia Loren looking more holiday-ready in this shift dress ensemble. This would make a great Instagram snap for now, don't you think? Soaking up the sun in an elegant dress and matching courts, Zsa Zsa Gabor's Cannes look hasn't aged. French actress France Anglade knows the power of a pair of heart sunglasses in a photo, no matter the decade. In a zig-zag dress and pointed slingbacks we'd really like to get our hands on, Vanessa Redgrave looks understated and chic. A dramatic entrance for Audrey Hepburn in head-to-toe satin and those striking gloves. In one of the most flattering dresses we think we've ever seen, Sophia Loren looks suitably starry in lace and diamonds. In op-art stripes, Catherine Deneuve definitely looks every part the '60s goddess. One of Cannes' key icons, Jane Birkin, is captured quayside with George Harrison, wearing her classic basket and babydoll dress combination. Can you think of anything more fabulous than riding in on a vintage motorcycle with all-white accessories to complement a natty skirt suit? Jane's back! The basket is still very much in play, but there's a fancier, embellished dress and a new addition of one Monsieur Serge Gainsbourg. Going with the nautical theme of Cannes, model Jerry Hall chooses a sailor-style blazer and accessorises with plenty of '80s-friendly gold jewellery. Yes, Jane Fonda always looks impressive in a fitted dress, but we can't help loving this casual get-up—super '80s. Here's Kate Moss doing what Kate Moss does best: disheveled chic. The simplicity of the dress is inspiring for us all, Cannes red carpet or no Cannes red carpet. This marabou trimmed LBD will always turn heads. Kate Moss knows just how a simple piece with statement detailing is always more effective than anything showy and OTT. Who could forget this pink confection of a creation? There's no one quite like Bjork for injecting something unexpected onto a red carpet. Charlize Theron has never not looked like a complete glamazon, but this slinky number from Dior is particularly memorable. Oh, the good old days! Here's Jen 'n' Brad looking rather delicious in matching monochrome. We remember this Dior look from Diane Kruger like it was yesterday—but it was four whole years ago! For her role in The Great Gatsby, Cara Delevingne shook off the sweatpants and made a very smouldering Cannes appearance in a black lace gown from Burberry. Cannes isn't sponsored by Dior, but boy oh boy, haven't there been a lot of incredible moments from this French fashion house over the decades? Here's another stunner, courtesy of Nicole Kidman. In a fishtail gown from Roberto Cavalli, Sharon Stone looked like a complete goddess with sun-kissed skin, underwater-inspired jewellery and swept-back hair. The blonde bombshell for the modern age, Blake Lively will forever stay in the history books in this plunging, embroidered gown from Chanel. Styled by her sister, Camille, Lea Seydoux has worn many a fabulous Prada look over the past few years—including this satin gown that hints to Hollywood days gone by. Who needs excess jewellery or dramatic hair and makeup when your Gucci dress is as stunning as Rosie Huntington-Whiteley's? Cate Blanchett brought a sci-fi spin to the usually classic Cannes red carpet in this enormous, and enormously impressive, Giles creation. Fan Bing Bing can always be trusted for doing something alternative when it comes to event-wear. This floral garland-topped look from Marchesa was no different. Sienna Miller's 2015 Cannes jaunt was spectacular: This was one of our key moments at the time, a patchworked, kite-effect gown from Valentino. Kendall Jenner caused jaws to drop when she made a swooping Calvin Klein–clad entrance to the Amfar Gala at last year's Cannes Film Festival. Next up, see your guide to Riviera style when you can't buy Chanel everything.